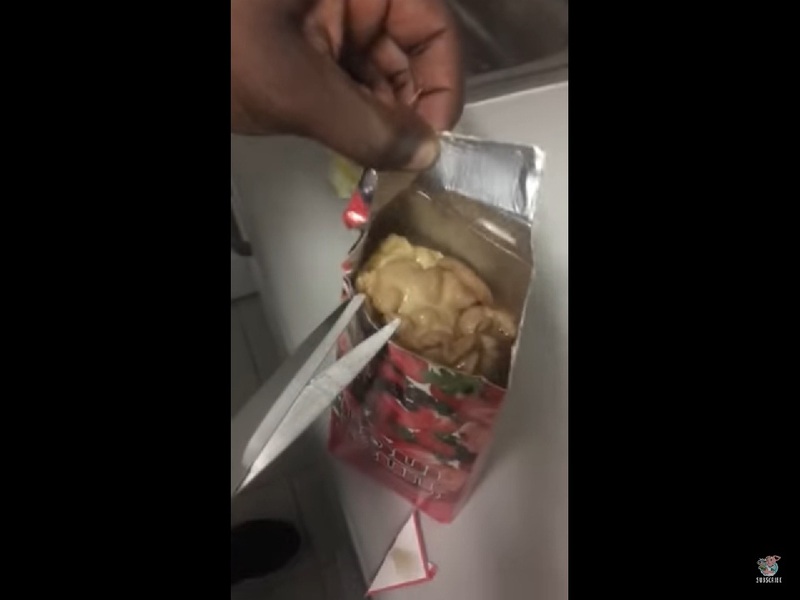 A set of videos and messages in circulation on YouTube and social media platforms warn consumers of Bad Mold in Fruit Juice Packs Like Minute Maid. The videos show consumers opening the packs of Minute Maid Guava Juice, Liqui Fruit Juice and Vita Coco Coconut Water. Shockingly, they appear to see fungus/mold formation inside the packs, which may risk health of the consumer. Yes, the formation of Fungus/Mold in Fruit Juice Packs like Minute Maid is a fact, the reasons and health effects of which are explained below. The video in question shows a super market store; the details of the incident are however not available. But a similar incident happened earlier in March 2013. A reddit user posted disturbing images of such mold formation inside a pack of Minute Maid Orange Juice pack. The user said his niece had been drinking the juice for over a week, and she ended up vomiting later. The family found a lump of mold at the bottom of the Minute Maid juice pack. After testing, the Company officials suggested it is typical food spoilage when a package is damaged or left open. As per reports, the Company also offered a gift certificate to the family. A South African family opened up a box of Liqui Fruit juice and was surprised to feel something move inside it. The incident reported in June 2018 was Fungus formation. After investigation, Liqui Fruit juice company said the package of the juice had been damaged during transportation from the factory to the shop where the person bought the pack. There has been a video doing the rounds of what appears to be a foreign object found in one of our juices. We contacted the owner of the video for a sample to be investigated. Tests were done on the retention sample from the production batch and didn’t indicate foreign materials. 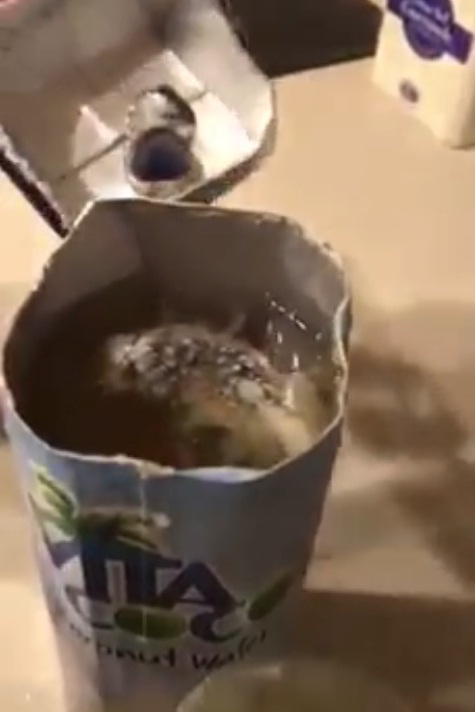 In case of Vita Coco Coconut water, many such people have shared videos of mold formation inside the packs. In a related case reported in May 2017, Vita Coco said the item is probably mold, and is not likely to cause any health problems. They again called it an incident of typical food spoiling when the pack is likely left opened, improperly refrigerated, or damaged. Notably, the manufacturing Company of the coconut water suggests people to refrigerate and consume Vita Coco within 24 to 48 hours after opening. Fungus/Mold in Fruit Juice Packs Bad for Health? As suggested by the companies, improper storage, usage or damage of the packs can degrade the quality of fruit juice inside. Depending on the surrounding environment, such packs can become place for growth of fungus or mold. Remember, this can happen in case of other drinks as well. There are many similar videos online showing such incidents with other brand packaged fruit juices. Some of the Companies involved have been suggesting such mold formation is unlikely to pose a health risk. Typically, mold ingestion via food products does not cause severe health symptoms. But prolonged exposure of abnormally high quantities of mold can cause hazardous health risks in humans. They include allergic reactions, infections or poisoning by mycotoxins. Some individuals can also be hypersensitive to mold in fruit juices. When you are buying a juice pack, make sure to buy from a good store. Before buying, you can give the packs a gentle squeeze to check for any damage or leaks. Check the pack for manufacturing, expiry date and also methods of usage and storage. Smell and taste the juice first, and if you concerned or feel something fishy – cut open the box or pouch before drinking. After you have opened the pack and used, refrigerate and store the left over drink safely. On the other hand, natural fresh fruit juice is always better than any stored or preserved one that comes in packs. You just have to spend some time and efforts on preparing it. For kids and parents who prefer packaged juices, Pediatrics in fact recommend eating whole fruits over fruit juice. Mixture of Hoax and Facts.